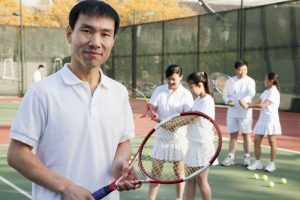 We know that not everyone wants to play tennis professionally; some people love the fitness and social aspects of coaching, training and playing with others; we understand that, and ensure that while everyone maintains good progress, our group sessions are enjoyable and a great place to have fun, network, get fit and meet new people. Our group sessions are available for adults of all abilities, from total beginners to those who want to compete in tournaments. This is the perfect group for those who have had a long break from the sport and those who are picking up a racket for the very first time. With small group teaching (the ratio of students to coach is 4:1) and expert coaches, we have fun but make quick progress. Sessions incorporate drills, tactics and techniques, eventually progressing to playing friendly singles and doubles matches. After a preliminary assessment with a coach to establish your level of ability, we’ll work in small groups, focusing on accuracy, decision-making, technical skills and drill sessions to help you excel in a match situation. There will be a physical training element to each session to ensure fitness levels are improved and to enhance specific tennis skills. Due to the Chelsea Flower Show, Ranelagh Gardens tennis courts are closed for 7 weeks. All our coaching programme will take place during the closures at Battersea, Chelsea Bridge Road SW11 4PX. At Bodyswot Tennis, we offer tailored, professional tennis lessons in London for children and adults of all ages and abilities. 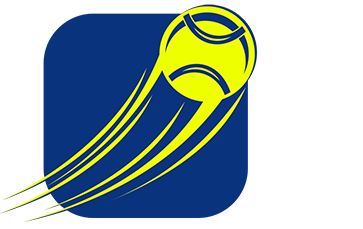 © Copyright by Bodyswot Tennis. All rights reserved.